The first Russian project for Hobbs Valve is about to get underway, as major extension works are undertaken at the Novokuibyshevsk oil refinery in Samara, home to the country’s sixth largest city. The crude distillation capacity of Novokuibyshevesk refinery is 8 million tonnes per year – before the expansion works have even taken place. The refinery processes West Siberian crude as well as feedstock from owner Rosneft’s oil fields in the Samara region of Russia. Deep conversion facilities include: catalytic cracking; delayed coking; catalytic reforming; kerosene and diesel fuel hydrotreatment units; bitumen production and gas fractionation units; and gasoline blending facilities. The upgrades to the site will include a catalytic reforming facility and isomerization unit along with a hydrocracking facility. Novokuibyshevsk refinery in the Samara region started operations way back in 1951 and was acquired by our client Rosneft in May 2007. The plant originally pioneered the production of a variety of petroleum products in Russia, including jet fuel, space oils, motor oils and innovative petrochemical processes. In the 90s it switched to supplying unleaded gasoline after a flagship project aimed at modernising its catalytic reforming units. 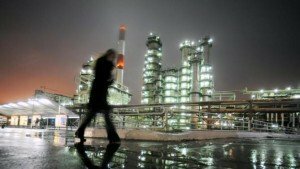 The Novokuibyshevsk refinery processed 7.38 million tonnes of oil in 2009 and 7.61 million tonnes 2010.